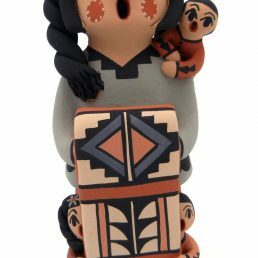 Much like kachina dolls, storytellers are a part of Native American Indian culture that has become quite popular with Western travelers and collectors. 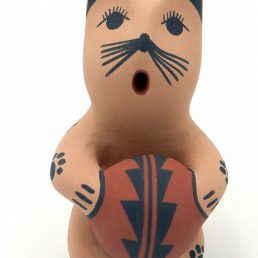 Ceramic (commercial) pottery storytellers are often cheaply made and widely available in souvenir shops around the Southwest. 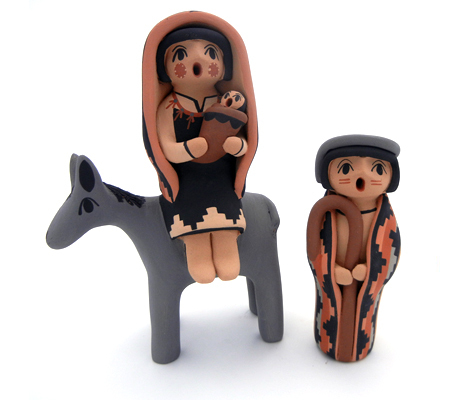 However, Native American Indian storytellers are handcrafted and often reflect the artist’s Pueblo’s pottery style. 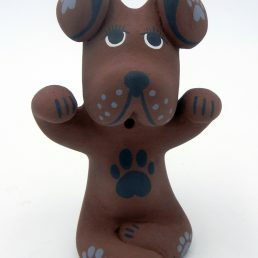 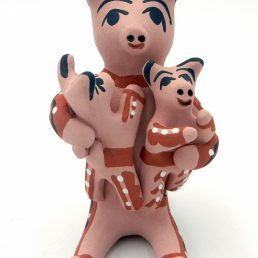 Authentic handmade Native American Indian pottery art, including storytellers, are hand-coiled, not poured. 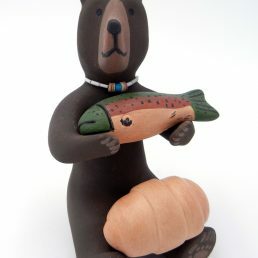 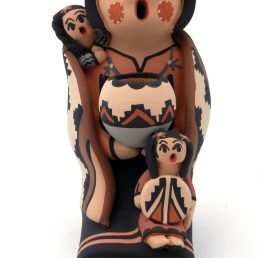 Hand-coiling relatively small pieces (most storyteller figurines are 12″ high at most) that feature several distinct bodies and other details results in a solid figure; thus, authentic handmade Native American Indian storytellers are heavy, unlike ceramic ones that are hollow and very light. 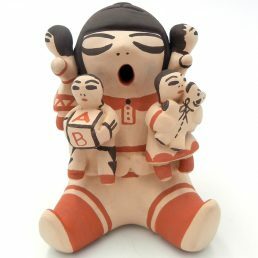 Although the first Native American Indian storyteller was a male figure, authentic storytellers may be either male, female or even animal. 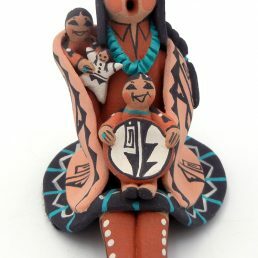 The gender of many storytellers is obvious, particularly female storytellers featuring traditional bridal hair styles. 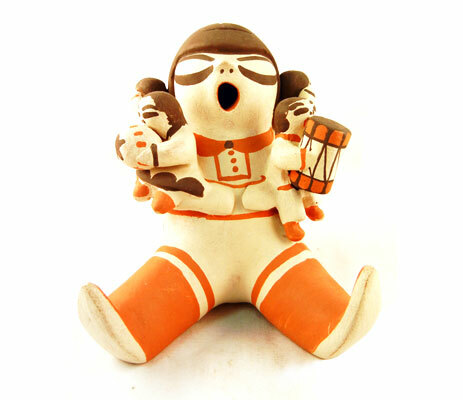 As for storytellers with straight long hair, a male storyteller is distinguished by the presence of a hat or bandana. 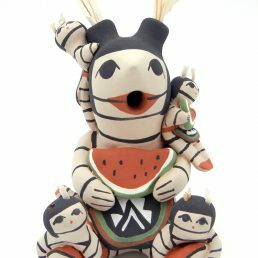 Palms Trading Company carries authentic Native American Indian storytellers, handmade by Southwestern Pueblo artists. 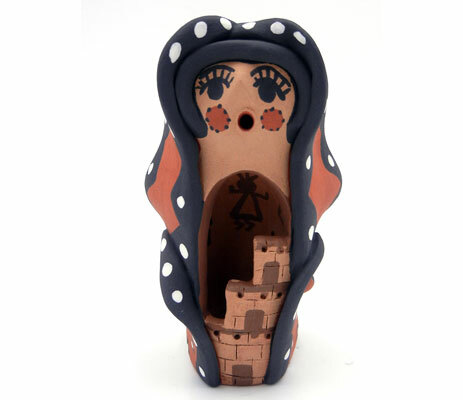 Some of the storytellers we carry are genuine collectibles. 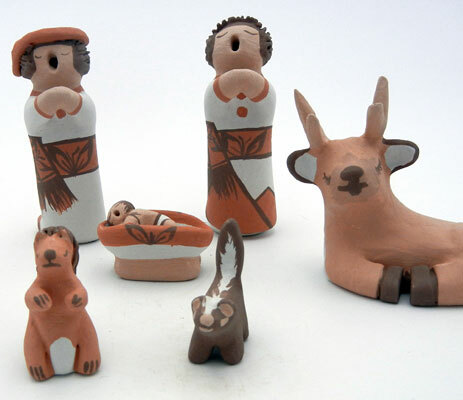 However, each storyteller figurine is a one-of-a-kind handmade work of art, a valuable addition to your personal collection. 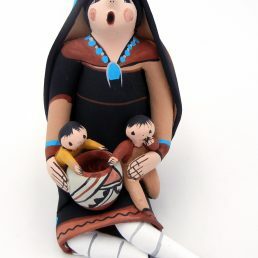 If you would like to see a larger selection of Acoma, Cochiti, Isleta, Jemez or Navajo storytellers, please contact us to use our personal shopper service.